Bonegraft is one of those treatments that not every patient needs. But it is a very important asset that the dentist uses to save the patient’s smile. It can open up endless possibilities of treatment for the patient. 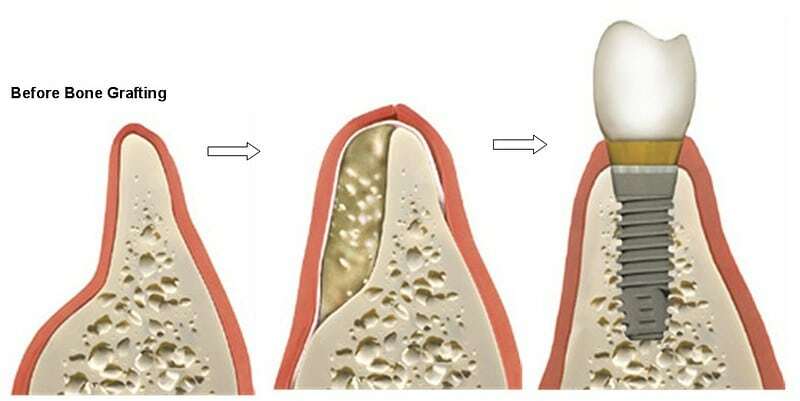 A bone grafting procedure can be the difference between a beautiful smile and an average one. Let’s see what this is all about and how bone graft affects your smile. For starters Bonegraft is a procedure that uses bone form the patient’s body to replace an area that needs it. In modern medicine, bonegraft is used in a lot of surgeries to save the patient’s bones. Eno ugh said, in dentistry is another history because it is not that sane to use bone from the body to place it in the jaw. Instead we had to adapt and evolve to satisfy the patients’ needs. Even so thanks to modern science dentists all around the world use a synthetic bone for their bonegrafting procedures. It imitates the proprieties of the bone without using real bone. It is fantastic for solving many problems the patient can face in their dental needs. Let’s see how bonegraft affects the patient’s smile. The most common use for bonegraft is to level the jawbone in case the patient does not have enough bone. This can help that the jaw does not deform in any way and can help the patient to support any kind of dental treatment. We will talk more of this later. Also the dentist can create a beautiful smile form scratch that will boost the confidence of the patient. Bonegraft can help to fix a patient’s bite and any uncomfortable feel that he or she may have. As we stated before, bonegraft can be the pillar and the foundation to support many dental procedures. Bone grafting can help a lot of patients around the world to receive treatment for tooth los s. The most popular use is for dental implants. To support an implant it is mandatory that the patient has enough jawbone to set the implant. Missing bone can make the treatment fail miserably or even worse, fracture the patient’s jaw. The timeline usually looks something like having studies first, then getting the bonegraft to level the jawbone and then waiting 6 months to heal before coming back for the dental implants. We know that it is painful to wait so long but in the end it is how it is and the wait worth it. Nothing beats a beautiful crafted smile and in the end the patient will get that smile of their dreams. If you are considering in getting dental implants or bonegraft, come to Dental Solutions in Los Algodones Mexico. We have the best dentists in Los Algodones ready to tackle any dental need. Besides we have great prices and staff fluent in English, so communication won’t be a problem. Send us a message or give us a call to start setting you appointment now!